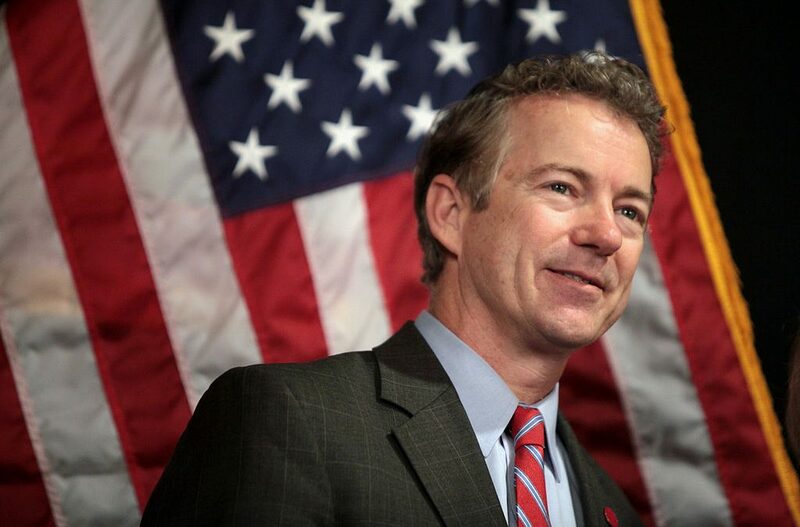 Republican Senator Rand Paul has reintroduced legislation to end government shutdowns…forever. The Government Shutdown Prevention Act doesn’t allow the government to shut down. Instead, it automatically cuts spending should lawmakers fail to come to an agreement over government funding. The Government Shutdown Prevention Act! What a concept. Imagine ending government shutdowns and asking Congress to handle taxpayers’ money with more consideration. That’s such advanced thinking I wonder if Rand Paul will be expelled from the Senate for casting aspersions on our current idiotic and corrupt mess. Rand always has a lot of great ideas. BUT NONE EVERY GET DONE. A better idea would be to follow the Constitution and pass a budget every year. We haven’t had a budget since GW Bush. Tired of CR’s let’s follow the law! This Bill is an approptations Bill. According to the Constitution, all appropriations Bills must originate in the House. Senator Paul has a great idea, he just hasn’t been delegated the authority to introduce the Bill. Rand, I have a much better penalty for all of you Politicians. How about a week in jail for every day a bill is not passed. I think that will get the Politicians going to do their jobs. Good idea but instead of a week in jail how about they lose 1% pay for every day the budget isn’t balanced n at the begaining of the yr no congressional travel of any kind is approved out of DC until the budget is balanced n passed … also clock in daily … test for blood alocohol n random drug testing …. I can not help but believe some of the things these people say they have to to be high one way or another n don’t need to be making decisions under the influence of anything but coffee !!!! To Senator Rand Paul , I have a better suggestion . Propose a bill that would stop pay to all of congress during a shut-down. I am sure this would keep politicians in Washington negotiating instead of vacationing in Hawaii, or jukits to Puerto Rico for fund raising. Wow. In 25 years we could be debt free as a nation. I’ve always like Rand Paul. I completely agree. If his bill fails, I suggest another one be considered. A bill that stops both houses of Congress from receiving their salaries and for that matter any benefits at all. No security, no free meals, no free transportation, no free anything. Completely cease all amenities or benefits until they pass funding legislation. It’s only right since they’re not doing their jobs. If we stopped doing our jobs wherever we, what do you think would happen?